Water Cures High Blood Pressure? High blood pressure is being treated by thousands simply by doing the opposite of what most people are taught by modern medicine. It is a thousand year old medical treatment that keeps being rediscovered. 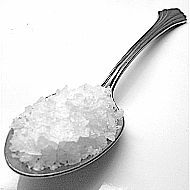 People have found that taking unprocessed sea salt and drinking water it is possible to lower blood pressure naturally. Note: If you have kidney disease, if you are pregnant or are under a doctors care, you should not make any changes with out consulting your doctor. This is not for you. High blood pressure (BP) definition: High BP, hypertension or essential hypertension is a condition where the pressure of the blood against the walls of the arteries is higher than the normal for a healthy person. 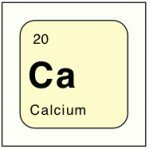 When the pressure exceeds the normal high levels, it eventually can cause health problems such as heart attack, stroke or other related heart diseases. Incorrectly taking blood pressure readings, and especially in overweight people, has resulted in misdiagnoses of hypertension. Some of the ways the wrong blood pressure can be taken is by not supporting the back, the arm, not having the arm at the same level as the heart, having the person talking while measuring the pressure or using the wrong cuff size for the arm or using the forearm. Average Blood Pressure: What is the Norm for Your Health Situation? Symptoms of High Blood Pressure: Spoiler Alert...there are none. 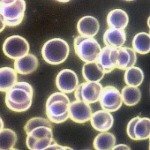 Salt and Blood Pressure: Can It Really End Hypertension? High BP Symptoms: Do You Know? Exercises to Lower Blood Pressure: What, When and How? Low Blood Pressure Readings: What it Means, What Can You Do? Blood pressure numbers are a measurement of the pressure at two different periods of the heart working. One is the systolic (sis-TOL-ik), a measurement of the pressure when the heart is beating and pumping blood. The diastolic is the top or higher number. The diastolic (die-a-STOL-ik) refers to pressure the blood exerts on the walls of the arteries when the heart is at rest between beats. When you see or hear a blood pressure reading, it will be the systolic number above or before the diastolic number, such as 150/90. The measurement is in mmHg or millimeters of mercury—the common way of measuring blood pressure. It is important to use the right size cuff and the right location to get an accurate reading. Proper blood pressure reading involves some basic principles of physics and human physiology. The person who is having their BP taken needs to be sitting or standing depending on the reason for taking the BP. The part of the arm being used for the BP needs to be at the level of the heart. The best part of the arm is the upper arm around the biceps. Lower on the fore arm can result in a false high number. If the arm is not being supported or is being held lower than the heart, the BP can be abnormally high. If the arm is above the hart the BP can be lower than the actual pressure. Additionally, the right size BP cuff for the size of the arm where the BP is being taken is also essential. 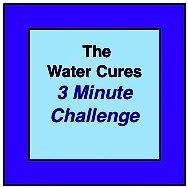 What is the Water Cure? 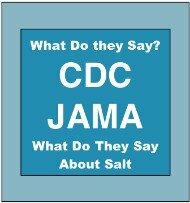 Water Cures Debate Dr. B speaks on salt and high blood pressure. Wanted to update you on my friend ------ who had the high blood pressure. Her blood pressure was 178/104 while on blood pressure meds at the Drs. office. Since drinking the water for about 3 weeks only and cutting her meds in half, her blood pressure averages 130/73! She can't believe it. 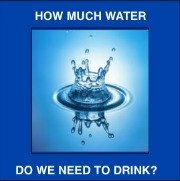 At Water Cures, we are not in it for the money. We are in it to help, to pay it forward. Please Share Your Story. Unless you specifically say we can, we will not use your private contact information. 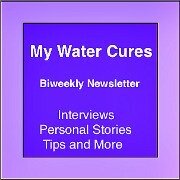 Beyond Water Cures Sometimes water cures will not work for various reasons. If water cures does not lower your blood pressure, then here is plan B. You will find 10 tasty ways to lower your blood pressure using the pharmacy in the fridge and the medicine cabinet in your cuppboard. What are you waiting for? 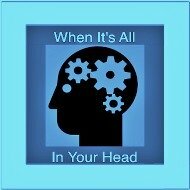 Click Here, eat, drink and be healthy. Click and learn how others have lowered their blood pressure with foods.